Gus Morhart Ontario Open Men’s Doubles Finalists Malik Bhatnagar and Peter Kuszynski and Champions Valentin Vacherot and Kevin Lam. 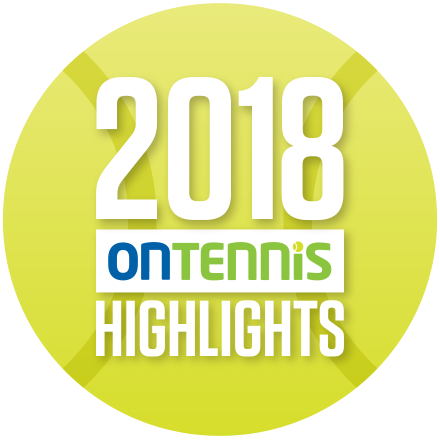 There was an interesting mix between youth and experience in this year’s Ontario Open, Provincial 5.0 and Provincial 4.0 tournaments. Some prominent junior players had some success, but in the end a lot of the winners were in the “experienced” category – proving that players can compete at a high level as the enter their 20’s, 30’s and 40’s. Gus Morhart Ontario Open Women’s Singles Champion Noelly Longi Nsimba and Finalist Christina Popescu. Ontario Provincial 5.0 Championships Finalist Chris Urquhart and Champion Jason Christie.